if you wish for a 3rd Key, there is now a £5 admin fee to request a 3rd key and this extension period will end Monday 12th November 2018. 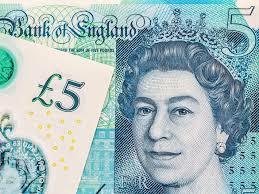 This £5 will be required to be paid before a 3rd key is provided and remember there is also £5 deposit required on each key. PLEASE NOTE IF YOU BOOKED LATE AFTER 1ST NOVEMBER 2018, YOU HAVE 48 HOURS FREE EXEMPTION AFTER YOUR PAID BOOKING WAS CONFIRMED TO BOOK A 3RD KEY, BUT DEPOSITS STILL APPLY. can only be ordered by Lead Name only. This is the person who completed the GROUP LODGE booking form. Each Lodge comes as standard with two front door keys, if you do not complete this form, there will not be a third key. GROUP LEADER on the booking contract. Group Leader is the lead name in group lodges, where 3 or more people are on the same booking. Nominate Key Holders to collect the keys. Too many times first arrival for a lodge take all the keys, leaving none for later arrivals, so they cant go to the lodges and not pleased they have to wait in complex, until someone shows up. This is not the responsibility of MJRoc to have security open lodges with all keys allocated for later arrivals. Your door key has been separately organised. DO NOT MISS THIS CUT OFF DATE. Group Leaders, remember its one Key request per lodge. If you have more than one lodge, a form is required for each lodge. If you ask for more than one lodges here, the form becomes invalid. ALL keys have a £5 Cash Deposit required when collecting as well as 3rd Key. If you do not have the cash, a key cannot be issued. Do not bring larger notes as we are not offering change! IF YOU DO NOT HAVE EXACTLY A £5 NOTE WHICH GOES INTO A SEALED ENVELOPE - YOU WILL not GET A KEY- PLEASE MAKE SURE EVERYONE KNOWS THIS YEAR - NO EXCEPTIONS. If you loose your key, you loose the deposit. Please present your £5 note when collecting your key and this will be sealed in a envelope with your name. There is no change, so please be aware if you bring a £10, £20 or £50 note, Parkdean or MJRoc cannot provide change, so no key can be issued. You will be issued with a receipt which must be presented when bringing your key back for the refund. Please note the time on the Weekends Program in your Welcome Pack when checking in and checking out. * In Couple or Shared Couple lodges, only two keys are supplied per lodge. Any orders received from these exceptions will automatically be cancelled without confirmation. There is no 4th key option sorry. Please do not ask as we cannot get them - The Venues policy.